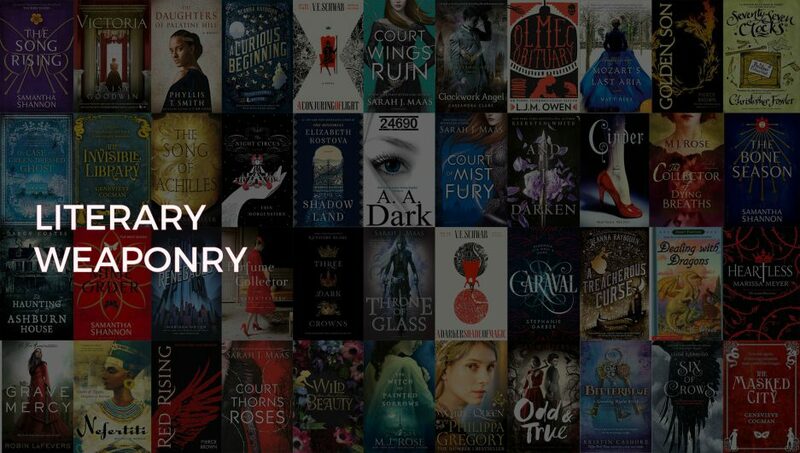 Typically, this blog revolves around my love of reading and literature but today I want to talk about my other passion. As the majority of you know, on Monday evening, April 15th 2019, Notre Dame burned. This event occurred exactly 107 years after the sinking of the Titanic which is irrelevant in the grand scheme of things but an interesting fact none the less. While we can all simply turn on the the news or even just open Twitter right now and read our fill about the events of Monday evening, that isn’t, at its heart, what I want to talk to you about today. What I want to focus on is the history of this glorious building and the rolls it has played since it was built. 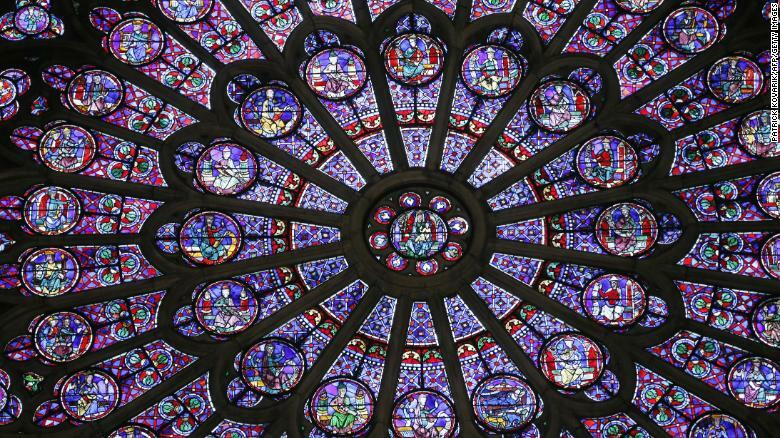 France is examining the damage to come up with a plan for the extensive repairs, to see what was spared by the devastating fire, and how they can bring life back to the structure while maintaining what it is at its heart. While they do that, I think it is important to remember why Notre-Dame de Paris is a significant part of not only Parisian and French history, but also of world history. Notre-Dame de Paris means Our Lady of Paris and a formidable lady she is. The cathedral’s construction first began in 1160 under the supervision from Bishop Maurice de Sully. The initial construction took approximately 100 years to complete and the first cornerstone was laid in the presence of Pope Alexander III. It is interesting to note that the grounds chosen on which to build this cathedral is thought to have begun life as the site of a Roman temple honoring Jupiter. There are many examples in the course of history of pre Christian sites and holidays being razed or appropriated by Christianity. That concept as a whole, however, is a long thought for another day. Since the initial construction there have been many additions and changes made to this famous cathedral. 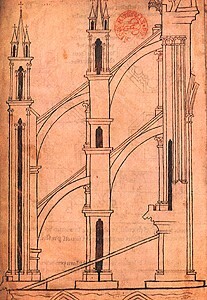 An important addition to note is the flying buttresses. Now, you don’t need to be an architect to understand the purpose of the flying buttress. This medieval design was used as an innovative support system that could hold massive weight loads. Their ability to hold such weight allowed for the outer walls of a building to not be so massive and to withstand more thrust. Because the walls were thinner, more and larger windows were able to be added to a structure. Without these flying buttresses, you would not see the glorious Rose Windows of Notre Dame which were miraculously spared by the fire. Construction, as a whole was completed by 1300. Time, however, always has its way and the building began to erode due to wind and rain. On top of Mother Nature, humankind, who rarely enjoy times of peace, have caused extensive damage to the structure over time during periods of war and unrest. Throughout its history, Notre Dame has been mainly used as a Catholic place of worship although there have been points when it has served other purposes. The moment in history that stands out in my mind the most in regards to this is during the French Revolution. The Revolution is one of the bloodiest times in the country’s history and Notre Dame stood through the thick of it. During the 1790s, at the height of the revolution, the cathedral was set upon by mobs. Many of the religious statues along the building’s facade were decapitated during the same year that Marie Antoinette found her own head beneath the blade of the guillotine. Interestingly, many, although not all, of the statue’s heads were found buried behind the wall of an old Parisian mansion in 1977. The people were desperate to distance themselves from the Roman Catholic Church and those revolutionaries were willing to deface and destroy the gothic cathedral in the attempt to gain that distance. As the 1800s rolled around, Notre Dame was in a horrible state of disrepair. In 1831, Victor Hugo published his novel The Hunchback of Notre Dame. The novel was very popular among the French and other nations and this popularity brought attention back to the dilapidated cathedral. This motivated the monarch to begin reconstructive efforts on the beautiful gothic building. It is these reconstructive efforts, supervised by Jean-Baptiste-Antoine Lassus and Eugène Viollet-le-Duc, that we have admired so much in the modern day. The spire, highly recognizable in its towering gothic design, was added by this crew in the spirit of the original spire, which was significantly smaller, and had been badly damaged by wind and weather. It is this glorious, soaring spire that the world watched catch aflame and topple into the inferno on the evening of April 15th, 2019. 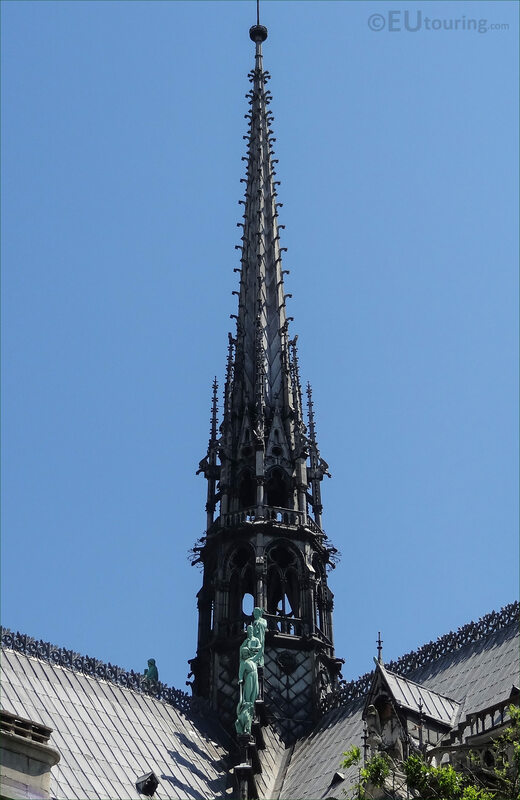 I feel that it is important to note that the copper statues seen around the spire in the below photo were undamaged during the fire as they had been removed and carefully stored off site for restoration a week before the blaze. Notre Dame began its life as a Roman-Catholic construction and, despite some hiccups along the way, it is still used for religious purposes to this day. Throughout its storied history it has witnessed events such as the marriage of Napoleon Bonaparte, the requiem mass for Charles de Gaulle, the marriage of Mary, Queen of Scots to the Dauphin Frances, housed the Crown of Thorns, and was subject to a bombing attempt in the modern age. The miraculous building as survived for over 800 years. Today, smoke may still be drifting up from the ruins of its rafters but it will not stay that way. Extensive images, digital mappings, and 3D rendering exist which will enable future workers to restore this cathedral to its former glory. I was never lucky enough to see this building prior to the fire but, one day, I hope to view the fruits of those future restorative efforts with my own eyes. Great piece! Didn’t know much about the history of this place, as when I visited Paris we only took pictures outside and didn’t bother to go inside, it was so crowded. It’s a shame you didn’t get to visit. Thank you! I was hesitant about posting this on what is mainly a bookish blog but wanted to share my interest in the history of the building with people. I hope that I get to visit once they are able to rebuild all that was damaged. I’m not Catholic but being in a building that has witnessed the history that Notre Dame has would be phenomenal. Definitely. It’s very insightful and I do love a little bit of history.